As of this past year, Foster + Partners can say that they have a built project on every habitable continent. In 2012 the firm completed construction on its first project in South America - the Faena Aleph Apartments in Buenos Aires, Argentina. The Faena District is a neighborhood that boasts buildings designed by some of the most renowned designers in the world. Foster + Partners' beautiful new apartment block blends the interior and exterior environments of Argentina. The Faena District of Buenos Aires is an upscale neighborhood brimming with new construction. Foster + Partners designed the project for a team owned by the Faena Group that advocates green spaces and architecture to raise awareness of environmental movements around the world. As Alan Faena put it, they “called on Foster, one of the world’s most prestigious architects, to bring his vision to our own”. Foster + Partners‘ Aleph building is designed to adapt to the climate of Buneos Aires. 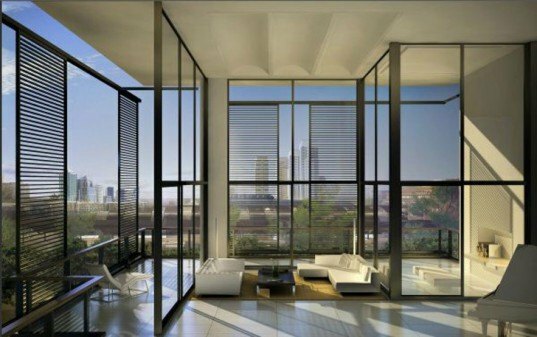 The space takes advantage of the thin line separating the interior and exterior spaces with double-height patios and collapsible window-walls. These window walls introduce natural ventilation and shading controls as an integrated building technology for the inhabitants. 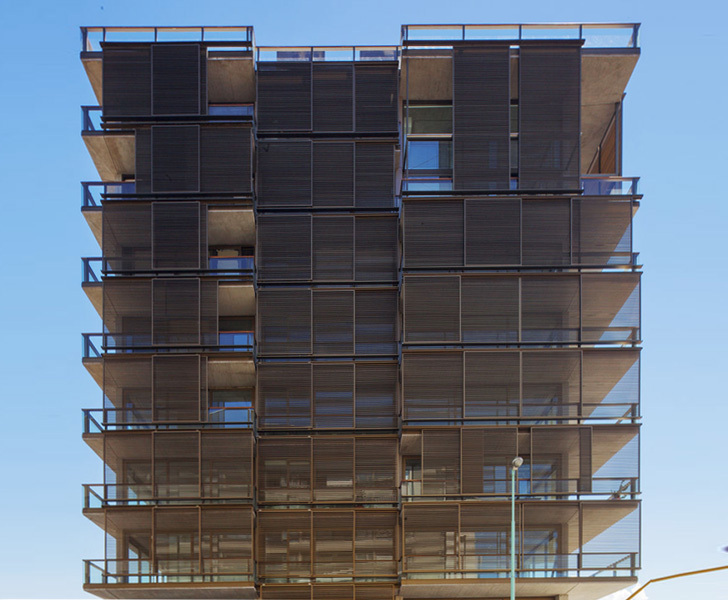 Moveable solar shading devices are also installed on the balconies of each unit. Luckily for most inhabitants of Buenos Aires, the climate is mild enough that most active systems, such as HVAC, aren’t needed. The Faena District of Buenos Aires is an upscale neighborhood brimming with new construction. Foster + Partners designed the project for a team owned by the Faena Group that advocates green spaces and architecture to raise awareness of environmental movements around the world. As Alan Faena put it, they “called on Foster, one of the world’s most prestigious architects, to bring his vision to our own”. Moveable solar shading devices are also installed on the balconies of each unit. The space takes advantage of the thin line separating the interior and exterior spaces with double-height patios and collapsible window-walls. The Faena Aleph Apartments stand as an example of sustainable design through climatic consideration. The project has also added vertical density to the Faena District.